The book launch of the Pay it Forward Series, Notes to My Younger Self took place in London on 17th March. We made it! You may have already seen some of the emails that I have sent out over the past month to promote the book led by Kezia Luckett, something I don’t usually do. My emails are usually full of up to date information & news for my customers and potential customers. Simply because that is what I do ! However, this book is very important to me, not because I am one of the co-authors (although I have to say I’m extremely proud to be one) but because the stories are truly inspiring that come from the heart from women across the globe that need to be told. For every story shared, another woman out there can benefit from the journey of that woman. Another woman out there can be inspired, motivated. Another woman out there can relate to some of the stories and will possibly make a small step to get her life back on track. My way of giving something back. In the book you will find stories of discovery, betrayal, illness, recovery, bullying, abuse, passion mental illness, health manipulation, love and so much more. 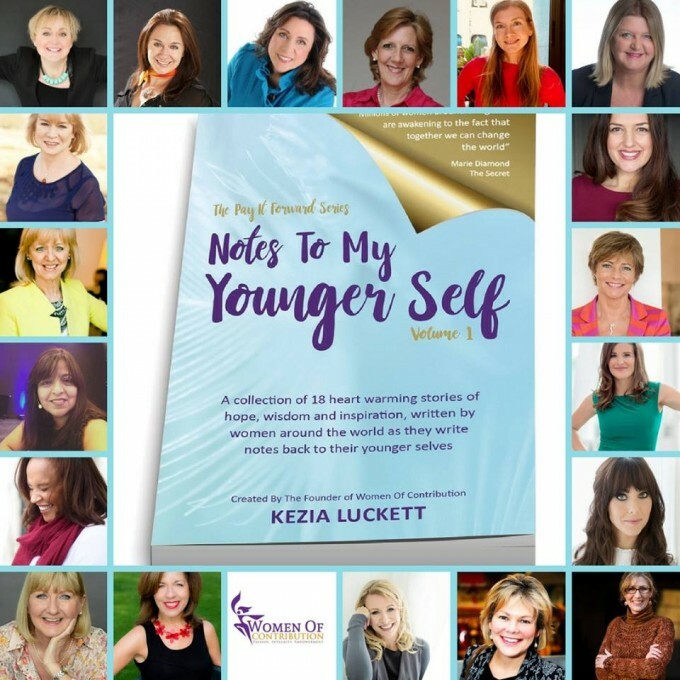 Each woman has written back to their younger self after a pivotal moment. Each story is authentic and having read them all, I can relate to more than one. No matter which story you read or relate to, each one shows how from a past pain can be born a positive future. A lot of people have asked me why I wrote my chapter ‘The Power of a Song‘? What made me share such information about my past? Well, it wasn’t easy, that’s for sure. It took me weeks to actually tell anyone and if the truth be known, I didn’t even tell my husband and family until it had gone to print, just in case I changed my mind. It really felt that my very secret self was being put out there for all the world to see and guess what it is ! The Power of a Song is only a snippet of my past, one of my pivotal moments amongst many that I could have chosen but one that made huge impact on my future. One thing I have learnt over the years is that my past doesn’t define who I am now but it has helped me get here and for that I am grateful. If someone gains insight or can can take a small step forward in their lives because of one of these stories, then its been worth the effort. Another question I have had is how did this journey start? Well, I will always feel rather privileged to have been part of its beginnings even if the idea existed already in Kezia’s heart before we met. We met initially in northern France on a rather wonderful branding boot camp led by Sammy Blindell (trailblazer behind How to Build a Brand) and met some fabulous men and women. Kezia had a vision and wanted to impact women across the globe. Sat round a wooden table, we listened to her story and how she wanted other Women of Contribution to tell their stories to help millions of women around the globe. A year later the book is out and I couldn’t be prouder to have been at that table. So what does Pay It Forward really mean? Well it means giving something back. It means helping others and ensuring that someone else benefits from the book. This is why we are asking people to buy it for themselves of course, but to also buy it to give to someone else. In the hopes that other women will benefit from it. By buying the book you are paying it forward also because 20% of the proceeds will go to a UK charity to help women suffering from domestic violence. A charity also very close to my heart.